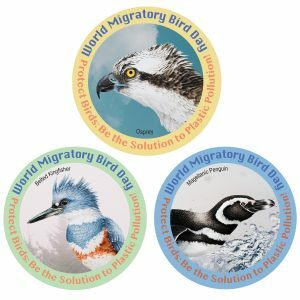 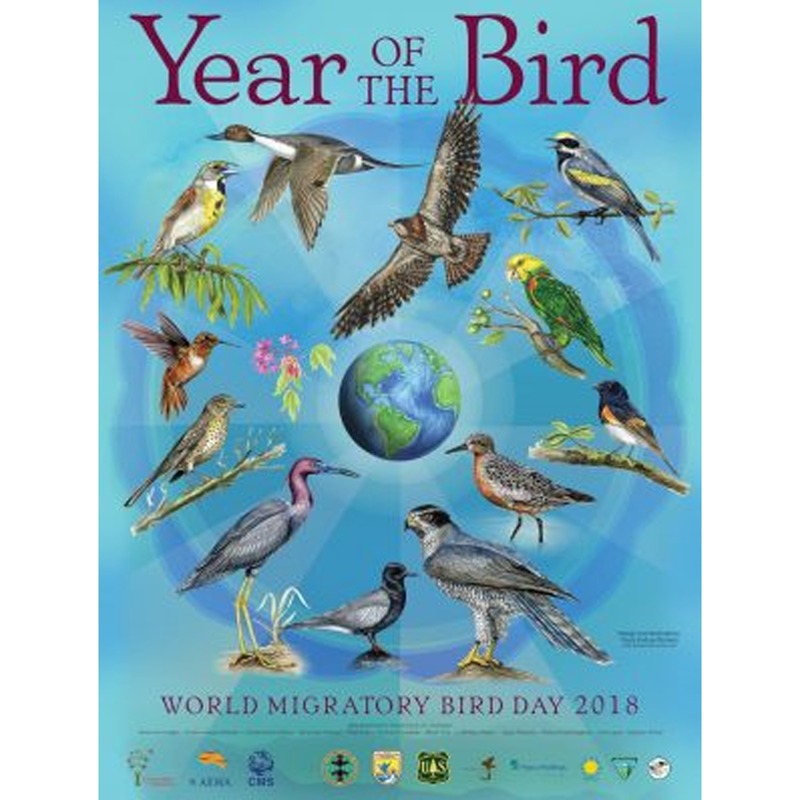 In 2018, World Migratory Bird Day celebrates Year of the Bird, highlighting the ways people can help birds 365 days of the poster. 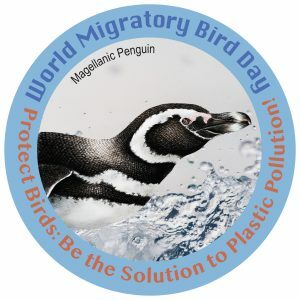 Use the poster to advertise your event, give it to WMBD participants, use them in your workshops, and of course, frame one for your wall! 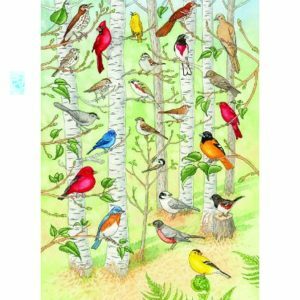 The poster is available unfolded, in English and Spanish and measures 18 x 24 on heavy paper, suited for framing. The smaller student poster, also available in English and Spanish is folded and measures 12″ x 17″ on lighter weight paper.